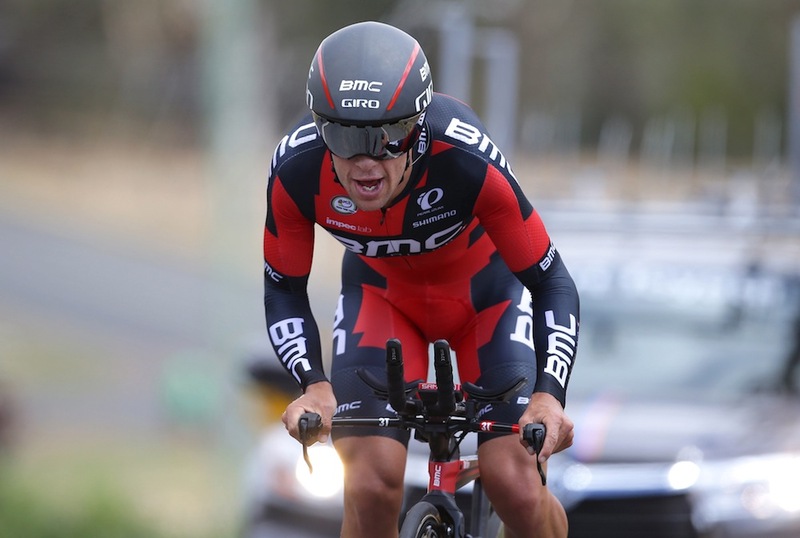 Rohan Dennis stormed to victory in the Australian National Road Championships time trial ahead of defending champion and new BMC teammate Richie Porte on Thursday, beating the former Sky man by 38 seconds on the 44km course in Buninyong, Victoria. It’s Dennis’s first gold medal in the event, having taken two silvers in the past, including last year behind Porte. The 25-year-old held the quickest time through the half-way point of the race, and only increased his advantage into the finish. Sean Lake (Avanti) rounded off the podium with a time 1-34 off the winner’s time of 51:13. “It’s always a dream to win the Aussie nationals,” Dennis said after the race. “I’ve won the Under 23’s and now I’ve got a senior medal. The TT was Porte’s first competitive outing in BMC colours since joining from Sky at the end of 2015, and despite not being able to hold on to his green and gold colours, the 30-year-old said he was happy with his performance and to see the title taken by a teammate. “It was more of a relaxed start to the year but I’m happy to be on the podium to be honest and I’m not surprised that Rohan has taken this win,” Porte said. “He deserves it, he’s hungry and I know how much he’s wanted that national jersey. We’re teammates now so I’m thrilled to see him win. Both riders will continue their seasons in the home country, gunning for the national road race title on Sunday on the 183.6km course before heading to the Tour Down Under, where Dennis will ride as defending overall champion.